Photography has provided ongoing and important narratives of Haiti’s people, art, culture and politics since the advent of the medium in the 19th century. From June 21 through October 4, 2015, NSU Art Museum Fort Lauderdale will present the first comprehensive museum survey of photography in Haiti in the exhibition From Within and Without: The History of Haitian Photography. The exhibition’s nearly 350 works from the late 19th century to the present engage the history of photography in Haiti with the work of contemporary artists and photographers, offering a fascinating perspective on life in Haiti and how political and natural crises have been perceived by native and foreign photographers and photojournalists. From Within and Without is organized by NSU Art Museum Fort Lauderdale and is curated by Haitian-American artist Edouard Duval-Carrié. From Within and Without features documentary, commercial, and official state photography, along with photographs from studio archives, family snapshots, and graphic arts that incorporate photography and film, documenting Haiti’s public and domestic architecture, its landscape, political history, natural disasters, and events that exemplify the richness and vitality of Haiti’s past and present. By the late 19th century, photographic studios had been set up in major cities throughout Haiti to document the grandeur and respectability of Haiti’s political elites and wealthy merchant classes. Photography quickly became a tool for capturing Haitian life in broader terms as photographs were made of its less affluent classes, as well as aspects of the social unrest and injustice that plagued the island nation. Albums and photographs dating from the 1890s through the 1970s display rural habitats and Haitian landmark sites such as Port-au-Prince’s Metropolitan Bazaar, National Bank of Haiti, Cathedral and Palace. Subjects include photographs of Haitian presidents, such as Francois Duvalier, Elie Lescot, Paul Magloire, Stenio Vincent, military leaders, farmers, families with their children, Vodou priests and festivals, baptisms and marriages, and numerous political events, such as the election rallies of 1913. The power of photographs became particularly acute in shaping public opinion about Haiti during moments of political and natural upheaval. Photojournalist Carl Juste’s Ready to Vote, February 7, 2006, and Ruined Prayer, January 12, 2012, taken just after Haiti’s catastrophic earthquake bring the politics and religions of Haiti and its natural tragedies to life. Haitians are survivors and bravely continue to preserve their traditions and assert their voices, as demonstrated in the riveting photographs of Pablo Butcher dating from 1986 and the overthrow of the Duvalier regime, to 1995, when the United States intervened to reinstate Jean-Bertrand Aristide as Haiti’s democratically elected leader. Butcher’s photographs of people gesturing in front of wall murals, which were destroyed during the earthquake, are not only compelling but are among the only documents of these historically significant murals. Maggie Steber’s photograph Mother’s Funeral, Port-au-Prince, Haiti, November 1987 and Paolo Wood’s Graduation, 2012, provide windows into multiple components of Haitian contemporary life. Selections of works by contemporary photographers such as Phyllis Galembo, Leah Gordon, Mario Delatour, Maksaens Denis, Maggie Steber, Stephane Kenn de Balinthazy, Jean-Ulrick Désert, Andrea Baldeck, Pablo Butcher, Antoine Ferrer, Adler Guerrier, Carl Juste, Daniel Morel, Gary Monroe, Chantal Regnault, Roberto Stephenson and Paolo Woods are also included in the exhibition. 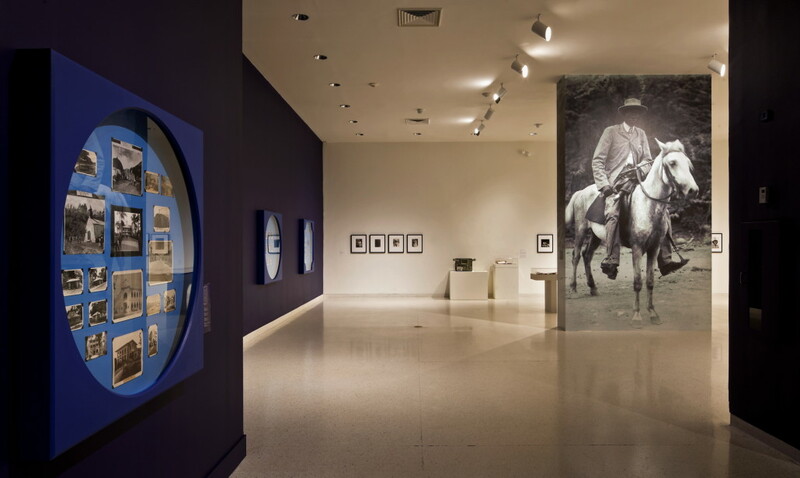 The exhibition’s examples of photography by Haitian and other artists and photographers are transient, living records of the tumultuous life of the oldest independent nation in the western hemisphere and provide new perspectives on photography and the visual that offer a broader understanding of Haiti, its history, and its citizens. Also on view at NSU Art Museum Fort Lauderdale is Edouard Duval-Carrié’s, The Indigo Room, Or is Memory Water Soluble, a room-size, mixed media installation that brings to life the story of the historical and contemporary Haitian experience. The work is part of the museum’s permanent collection and is on display in its lobby. Supported by Funding Arts Broward, Inc. Additional funding for this exhibition is provided by grants from the Green Family Foundation, FOKAL (Fondation Connaissance et Liberté/Fondasyon Konesans Ak Libète), The Haitian Cultural Arts Alliance, Lisa and Steven Smith/SMITH Manufacturing, Wells Fargo and the Florida Humanities Council with funds from the National Endowment for the Humanities. Any views, findings, conclusions or recommendations expressed in this exhibition do not necessarily represent those of the Florida Humanities Council or the National Endowment for the Humanities. Media Partner: Miami Herald Media Company.